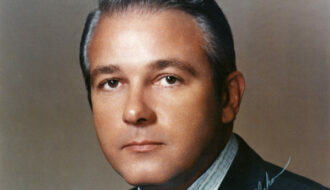 Edwin Edwards served an unprecedented four terms as Louisiana’s governor. After his release from federal prison, Gov. Edwards has remarried, welcomed his fifth child, starred in a reality television show, and he ran unsuccessfully for Congress. Brian Boyles sat down with the Crowley native at his home in Gonzales. 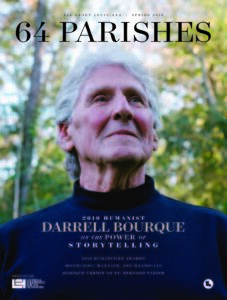 What do you recall about your initial experiences with Louisiana politics? I grew up in the Depression. My father was a tenant farmer, very poor, and Franklin Roosevelt and the New Deal meant a great deal to us. We got a great deal of help from the government to get us through the Depression. At that time I was very involved in high school politics. I was vice president of my class and also I was interested in national politics as well as state politics. At the time of your election as governor in 1971, the Cajun people were in the midst of a cultural rebirth. Yes, there was euphoria among the South Louisiana Cajun people. At that time we numbered something like 800,000 in the state, almost a quarter of the population. But somehow, we were forbidden to speak French on the school grounds. French was frowned upon, but all that changed with my election. What was the biggest shock or surprise once you took office? What surprised me was the power. The ability to get things done and the need to do things otherwise [they] didn’t happen. Before I managed to get the [1974 state] constitution adopted, The governor virtually did everything. He appointed all the state employees. If a mayor or school board member or police juror or a sheriff died, the governor appointed his successor without regard to the wishes of the remaining members of the body. All of that changed because I thought it was too much power in one person’s hands. Now if a school board member dies, the remaining members of the board appoint his successor. That’s something that I think has helped a lot to reduce the powers of the governor, but at the same time not in a way where it affected the administration of government. During your first two terms, the state economy was booming, along with the oil industry. When you returned in 1984, things start to head downhill. How did it change the way you had to govern? It made a big difference because the bottom line is when the state has money it’s easier to govern. You can do things, make things happen and accomplish things. When things are tight, it’s a whole different ball game. When I took over in 1984, I had to inherit those conditions and [like Gov. David Treen] I too had a hard time doing it because [the oil industry] was the source at one time of 45 percent of the state’s budget income. All of sudden it had been reduced to less than half of that. How does a governor work successfully with the legislature, a body of people representing so many different interests? How do you set priorities for a staff and get them to enact the things that you’re looking to do? First thing you do is get people you can trust, people who will tell you the truth even though it might hurt. People who will talk to you as friends, not simply as servants who are fearful of the consequences of disagreeing with the boss because that’s not good. I always look for people that had some expertise in the area that I put them. Having done that, I then let them run their shop with the understanding it has to be legal, and if it’s something that is going to require money or is going to have an impact on the state, then I want to know about it before you do it … Sometimes I’ve had to overrule them but most of the time I had people who knew what they were doing. During your time in prison, the rise of social media and the 24-hour news cycle had an incredible impact on American politics. Can you imagine governing under this constant surveillance and attention? I was under more constant media surveillance while I was governor than ever in my life. … I can say this without fear of contradiction: nobody in public life has ever been under the scrutiny that I have except possibly the president of the United States. If you had an a hour with the new governor on his first day in office, what would you tell him or her about the qualities necessary for succeeding at the job? Recognize that you can’t do everything. I don’t care how good and powerful you are, when you get out of here four or eight years from now, there will still be something for the next governor to do and you might as well make up your mind about that. Number two, people want you to be trustworthy, and, contrary to popular opinion, people don’t expect governors to be superheroes. We’re human beings, we’re flesh and blood, we’re going to make mistakes, and we can’t do everything. Don’t beat yourself to death if you can’t do everything that people want you to do. Above all, just be direct and honest and honorable.